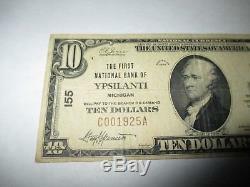 It is issued from The First National Bank Of Ypsilanti. This is a ONE BANK TOWN! This note is extremely rare, and it is getting much harder to find this type of bill! 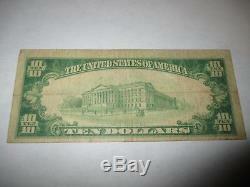 This note has a good amount of crisp left to it and is in great shape with no issues! This bill is a must have for any collector of National Currency! Thanks for looking and good luck! 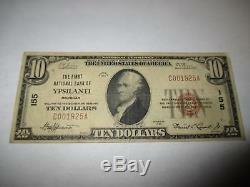 The item "$10 1929 Ypsilanti Michigan MI National Currency Bank Note Bill! #155 VF" is in sale since Wednesday, March 07, 2018.